Vietnam’s top notch Sun World Danang Wonders (as part of Sun World Amusement and Entertainment spin0ff of Sun Group) in Danang recently launched new game Queen Cobra – the largest suspended roller coaster train of Vietnam. Queen Cobra is an extreme outdoor game that will hold the breath of any adventurers in this complex. Recognized as the largest suspended roller coaster train of Vietnam whose railroad runs 689m and accommodates 20 passengers, Queen Cobra is among top extreme games worldwide, which is inspired by the queen cobra growing up to 5m long in Kerala State, India. A unique product by Vekoma (Netherlands), a prestigious brand of the world as specialized in extreme games in various parks worldwide such as the Walt Disney amusement park (Disneyland), Universal Studios, etc. sophisticated Queen Cobra railway will push passengers to the height of 34m and drop them at the speed of 80kph over 5 continual twists. Within 96 seconds, these treacherous twists will stir up extreme sensations unknown to passeners. Queen Cobra is expected to fuel most booming moments of joys and satisfy brave hearts who crave for a bit of adventure, self-exploration and conquest. 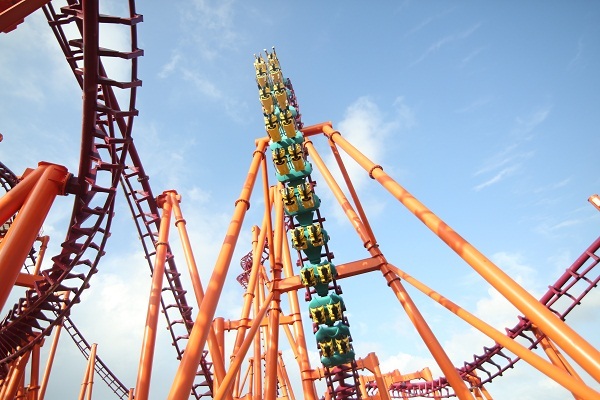 Queen Cobra is the third roller coaster manufactured by Vekoma that Sun World Danang Wonders are owning, in addition to the Port of Sky Treasure and Garuda Valley. However, it is the most advanced, and also the largest game of Asia Park up to date. Queen Cobra also added the total outdoor games in Sun World Danang Wonders to 20. Queen Cobra is indeed an endless source of outdoor excitements for passengers. Aside the world beating roller coaster trains, Sun World Danang Wonders also lavishly treats all visitors with free access to the Softplay Zone, Sunblaster Air Gun Zonew and 64 indoor arcade machines. Some ofteh world’s foremost indoor games also ensure non-stop joys to young hearts, including the monorail that carry passengers to 10 most delightful Asian countris, Singapore Sling – Top 10 most extreme games of the world, tallest freefall tower Golden Sky Tower of Vietnam or amusing Angry Motor race course… The added greenery of 5,000 planted trees of Sun World Danang Wonders this year also provides more shade to gamers despite the broiling sun out there. By adopting furher games is a new attempt by Sun World Danang Wonders in our unrelenting innovations to offer our visitors most novel exporations and various peculiar experiences in such a region-level amusement complex. Alongside the amusement park and recreational areas all over Vietnam Sun Group has also strived to make more contribution to physical infrastructure development of tourism, a smokeless industry of Vietnam.